Wilson: You say, incidentally, that this kind of law was bringing coals to Newcastle—Moses came down from the mount and told people that murder, theft, and perjury were wrong, and all the assembled rolled their collective eyes. “We already knew that!” But the problem is that ancient man didn’t know that, and modern man still doesn’t know it. To state some of the issues that are subsumed under just one of the three categories you mention is to point to controversies that continue down to this day. Consider some of the issues clustered under the easiest of these three to condemn—murder. We have abortion, infanticide, partial-birth abortion, euthanasia, genocide, stem-cell research, capital punishment, and unjust war. Murder is the big E on the eye chart, and we still can’t see it that clearly. Christopher Hitchens, and Douglas Wilson. Is Christianity Good for the World? Canon Press, 2009. 39. 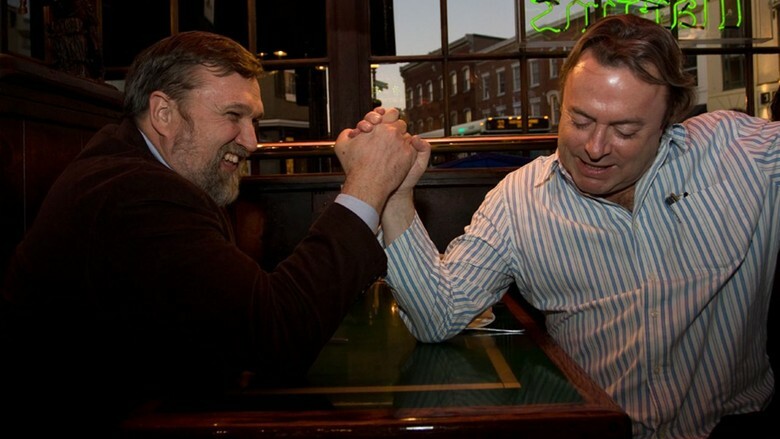 Christopher Hitchens, and Douglas Wilson. Is Christianity Good for the World? Canon Press, 2009. Good, good, good, so good. Wilson is top-notch and has the upper hand to give the response. In this, the main hard-hitting topic was Morals and Ethics or the source of Morals and Ethics. Wilson’s explanation needs none here. Hitchens’ explanation is that there is no source but rather, our morals have evolved.